A strong and powerful body will mean you’re less likely to get fatigued. To prepare for a great skiing season you need strength training, core training, flexibility training, plyometrics, aerobic training and anaerobic interval training. These are the key components for a comprehensive program. Give yourself at least four weeks to build up a great strength foundation and consult a master personal training for personalized instruction. Because skiing is a whole-body sport, you’ll want to do whole-body strength workouts. Skiers will sometimes mistakenly omit upper body or back exercises from their routine thinking that just the legs are needed for skiing. That’s a big mistake. All muscles are needed for skiing. 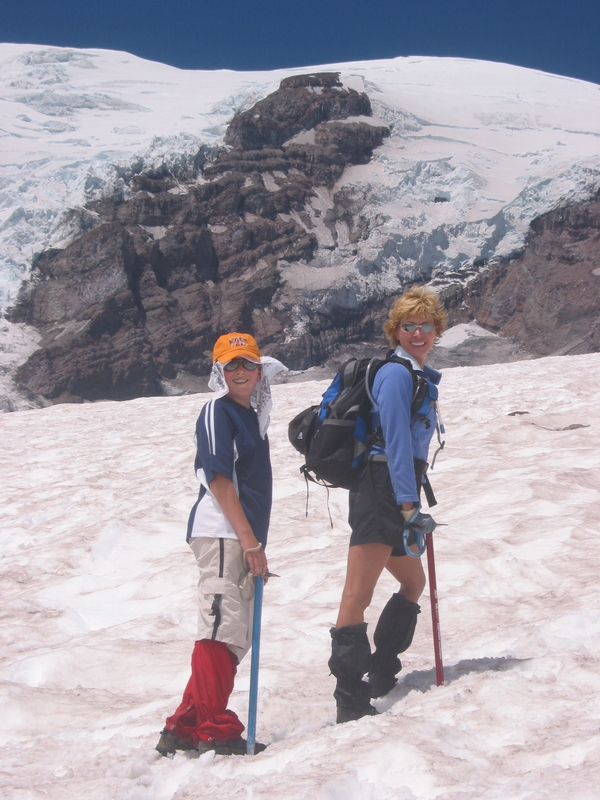 The latissimus muscles of the back, for instance, do some of the work of pressing down on ski poles. The lower back does most of the work of keeping your upper body erect. Target the following major muscle groups in all your workouts: Quadriceps, hamstrings, glutes, calves, chest, back, abdominals, shoulder, biceps and triceps. Incorporate core training into your workouts by focusing on the rectus abdominus, transverse abdominus, internal obliques, external obliques, psoas major & minor, illiacus, lumbar musculature, and rectus femoris making sure you include core training on the ball to challenge your balance and stability and stabilization exercises such as the forearm plank and lateral plank. Before starting your workout, warm up for five to ten minutes with your cardio exercise of choice. The ideal ski-specific full body workout starts with legs, as they contain the biggest muscle groups and thus get the heart pumping and blood flowing quickly. At the end of your workout, stretch for five to 10 minutes. Lift twice per week, with a full body program with 48 hours of rest in between each session. When you have completed your workout, your muscles should be fatigued but not debilitated. You should experience no joint ache. If you do, the weight you’ve chosen is too heavy or you are not using proper form. I recommend that you consult a certified personal trainer when first starting a strength-training program—even if you’ve lifted in the past. Flexibility is also paramount. Creating the angles necessary for carving requires flexibility, particularly in the hips and lower body. Flexibility exercises should be done at least 3 times a week. Choose stretches that target the entire body and focus mainly on the shoulders, glutes, hips, quads, thighs and calves. Perform stretches 3 days a week or more if you feel you need to. Hold each for 30 to 60 seconds, and repeat two or three times. Aerobic endurance helps your body to efficiently distribute oxygen to your muscles. 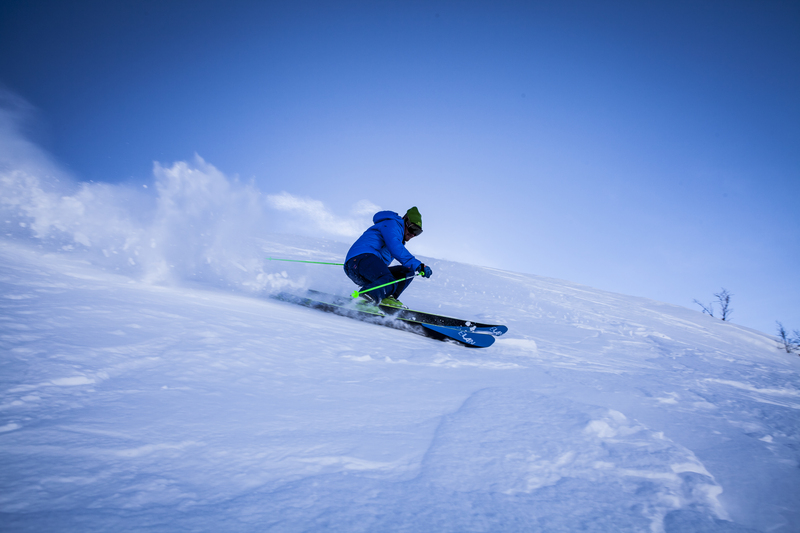 Doing endurance aerobic training now will help you stay out on the slopes longer this winter, and keep you energized. Activities you can do to help include running, swimming, and hiking. Skiing is a series of sprints of various lengths, so train your body with anaerobic sprint training methods. To improve your ability to repeatedly sprint from the top of a chairlift to the bottom in a few minutes, train like a sprinter would. This means working on intensive exercises that trigger lactic acid to form. Doing so promotes power, speed and strength, and leads to a better performance. Anaerobic cardio training should include 3 personalized interval programs a week. Build explosive power and quickness in the legs by performing plyometrics. Plyometrics are perfect for anyone who wants increased endurance for harder slopes or moguls. Plyometrics are an excellent way in which to increase explosive power and muscular strength. However due to the fact that it will aid in increasing your performance, you will need to be in reasonable condition, both with regards to your fitness level, and motor skills, especially your balance. These ski-specific, functional exercises demand not only strength, but balance and quick reflexes, too. Start slowly, gradually increase the length of time you do your plyos or do them more quickly to increase intensity. Consider starting with 20 to 30 seconds of work, rest that length of time and repeat. Gradually increase time working. Avoid plyometrics if you are either unconditioned, or suffering from injury, especially knees or other lower body joint problems. • Think springy. Power is strength in relation to speed, so the goal is to move quickly from one jump to the next. • Aim to land softly on the ball of your foot, whenever possible, avoid landing on your heels or side of your feet. • Do all jumps on a soft surface. Use sprung floors, dry grass or an athletic track. • Land softly. Absorb shock by bending sequentially at the ankle, knee and then hip. • Keep your glutes and abs slightly contracted. • Use your arms to help you power through the jump. • Use only your body weight when performing plyometric exercises. • Adequate recovery between reps cannot be stressed enough. Stand sideways to a jump rope or other marker on the floor with arms bent in front of you as though you’re holding ski poles. Quickly hop sideways over the marker, keeping both feet together constantly. Think “featherlight”, and explode up and over the marker. As you improve, try to increase the speed, distance hopped to the side, or height over the marker. With hops, try to be explosive and light on your feet. Do 4 sets of 6 reps.
VARIATIONS: try the hops over yard markers on a floor where you can hop side to side while at the same time moving forward. For increased intensity, hop over something soft like a pillow, a sweatshirt, cone, or other soft object (so you don’t hurt yourself if you fall). Stand sideways to a jump rope or other marker on the floor and bend your arms in front of you as if you were holding ski poles. Quickly hop on one foot (sideways) over the marker and hop right back. Then, to complete a rep, repeat with the other foot. As you get comfortable with the movement, try to hop higher and faster. With hops, try to be explosive and light on your feet. Do 4 sets of 6 reps. Phase 1: Make 8 dots on the floor with tape in an asymmetrical pattern. Keep your hands quiet and in front of you. Jump with both feet in no particular order to every dot. Land softly and spring to the next dot. You must absorb the forces by bending your knees and hips. Jump for 1 minute as quickly as you can with a minute rest. Repeat twice. Don’t forget to bend the knees! (Picture a deer bounding in the woods-boing, boing) Vary your pattern of jumping. As before but now use only one leg! For intense hiking training for mountaineering, you will benefit from having a well-planned fueling program that ensures adequate calorie and fluid intake. And for maximum fueling, choose “Real Foods” instead of processed like candy bars, protein or energy bars, granola bars, etc. For more go to this blog. Carbohydrate is the most important source of energy for the exerciser. Carbohydrates deliver the energy that fuels muscles. Once eaten, carbohydrates breakdown into glucose, fructose and galactose that then get absorbed and used to fuel workouts. Any that isn’t required immediately is stockpiled in the muscles and the liver in the form of glycogen. After these glycogen stores are filled up, any extra gets stored as fat. Glycogen is used during immediate and short intense bursts of exercise. During more long slower bouts, fat is used too. If glycogen isn’t available protein is used. Experiment during training hikes to observe how your body responds and make adjustments before your big climb. If you are exercising less than an hour, there is no need to eat during exercise if you have eaten a meal before. Drink 6 to 12 oz. of water every 15 minutes during exercise. For long, hard hike that last beyond 1-1.5 hours, you should try to supplement at least one-third or more of the calories burned. Consult sports dietitian Maria Faires to help you estimate YOUR calorie needs and how many calories you burned per hour. Here is an estimate of how to fuel during hiking: If you are hiking vigorously for 1-2 ½ hours then it’s smart to consume a 120-240 calories (30-60 grams of carbs) per hour snack to keep your blood sugar and energy levels stable throughout your hike. If you are hiking vigorously for over 2 ½ hours then it’s smart to consume a 240-350 calories (60-90 grams of carbs) per hour snack to keep your blood sugar and energy levels stable throughout your hike. If you are using an energy gel, use a gel that contains multiple sources of fuel (like glucose and fructose) as you’ll be able to consume and absorb more fuel each hour and therefore keep your system energized. Be sure to begin taking gels relatively early in the hike. By taking the gels early, your body shouldn’t be under great stress and you will be able to digest it. Always take energy gels with plain water, not a sports drink. Experiment with both salty and sweet foods to see what you like. Try to choose the most nutritious foods. If you are a heavy sweater, choose some of the foods that are higher in sodium. Keep your perishables chilled. Some hikers do well with a caffeine-boost. If you want to experiment with this, pack iced tea in one of your water bottles. Stay fueled and energized on your next hiking trip with these healthy and nutrient-packed “real food” hiking snacks that will keep hiking all day. Consume calories and fluids immediately following the hike in the form of a 100 to 400 calories. Eating a high-carbohydrate snack or meal with protein in the immediate postexercise period has been shown to quickly encourage the replacement of glycogen that was used up during the exercise session. This aids recovery and will allow the hiker to start stocking up on stored carbohydrate for the next training session. You will have to drink enough water or sports drink to prevent dehydration. Fluid loss from sweat results in dehydration that can impair performance and mental functioning and affect their ability perform them effectively. Hikers should get in a habit of drinking fluid on a regular basis. To check your hydration status, check your urine. You should be voiding light-colored, pale yellow urine every 2 to 4 hours. And if you’re thirsty, you are most likely a quart low. Drink plenty of fluids with meals. Drink 16 oz. 2 hours before activity. Drink another 8 to 16 oz. 15 minutes before activity. Drink 6 to 12 oz. every 15 minutes during exercise. Drink 24 oz. for every pound of body weight lost after exercise.